Here's another. Big sow getting fat on berries. 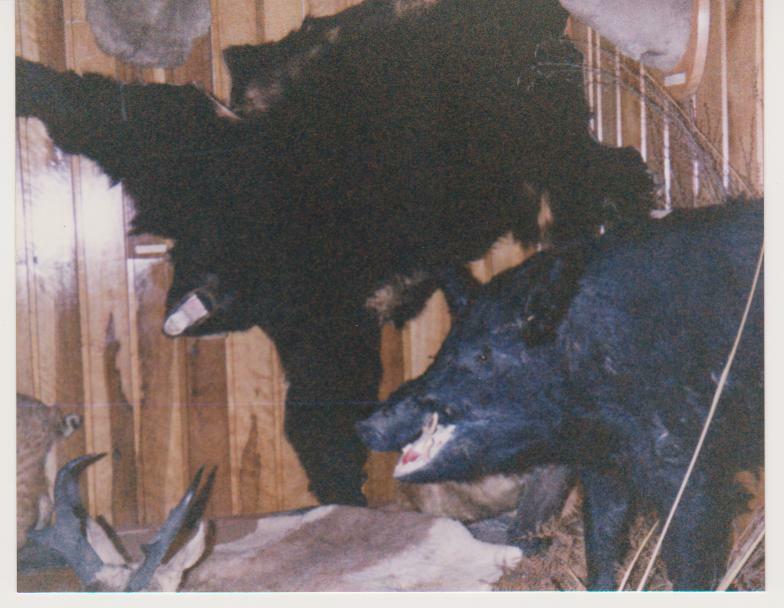 Other one I posted was a huge boar sitting on a Moose kill in a clear cut off a logging road. I took pics of him from less than 100 yards away but left the 4 runner going and door open. He knew I was there but was busy chasing ravens trying to get a feed. wsm junkie, nzfubz, Uplandstalker and 2 others like this. Shooting one of those is on my list. If you had a Grizzly tag could you just shoot one no questions asked?? Not in BC. Green snowflakes had Grizzlies taken off the list. They don't know if they will ever be able to hunt them again. Hopefully they chow down on a few snowflakes and they will realise their ideals are all fucked as usual and want them shot. Uplandstalker, Beaker, A330driver and 1 others like this. Those friggen Grizzlies deserve a lot of respect. Even the black bears. More people are killed by black bears than Grizzlies apparently. It was awesome seeing so many bears when I was working there but not having any experience around them and being close to them while handling shot game always had me concerned. One of the other kiwi guides had a big sow grizz stand up in the willows just meters from them while on horse back. Another group were false charged several times by a Grizz while on a trail. I have read a lot about them but it doesn't really help in a real situation. I was hiking once with my girlfriend. Suddenly a huge brown bear was charging at us, really mad. We must have come close to her cubs. Luckily I had my 9mm pistol with me. One shot to my girlfriend’s kneecap was all it took. I could walk away at a comfortable pace. ANOTHERHUNTER, turtle and Magnus like this. A mate whose family ran a business in Alaska flying fishermen & hunters in told how his mother would ask the fisherman what they were carrying for bear protection. When shown a 9mm she would tell them to file the foresight off, cause then it wouldn't hurt so much when the bear took it off them & shoved it up their arse. Didn't know they were that smart or had the dexterity. Dundee, GravelBen, ANOTHERHUNTER and 1 others like this. Cheaper to shoot your own at that rate.